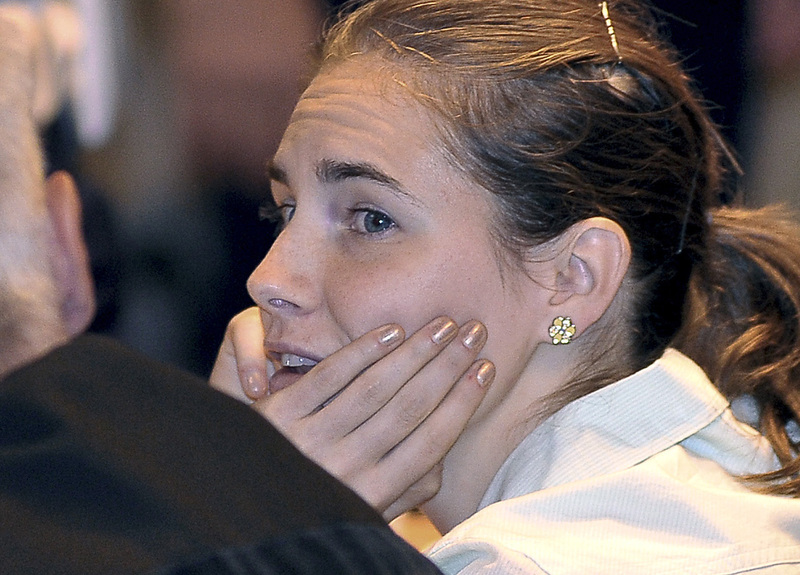 Prosecutors in Italy have delivered closing arguments in the appeals trial of American student Amanda Knox. She is fighting to get her murder conviction overturned because of faulty DNA evidence. Knox could learn October 3rd whether she goes free or spends life in prison for the murder of her roommate Meredith Kercher, CBS News correspondent Charlie D'Agata reports. Knox returned to court looking far more confident than in previous appearances. Her lawyers say a new report casting doubt on DNA evidence would clear her and her former boyfriend Raffaele Sollecito of the murder of Kercher in Italy. But in the final round of closing arguments, prosecutors turned up the heat with hardball tactics, at one point portraying Knox as part of a media campaign worthy of Nazi propaganda. Lawyers showed jurors graphic pictures of Kercher's body, and say people have forgotten about the girl who was brutally murdered. Kercher's sister said she and her family felt the same. "In these four years, Meredith has been forgotten. We need to find justice for her." Knox's parents, who have been attending the closing arguments in Perugia, told CBS' "The Early Show on Saturday Morning" that showing the graphic photos of Kercher was "gratuitous." "I left at that moment," said Knox's mother, Edda Mellas. "I think, because there is no evidence, I think they are just trying to play an emotional card because they really have no case. I chose not to sit and watch that." When asked how it felt to hear his daughter likened to Nazis, Curt Knox said, "Well, you know, she's been experiencing a negative character assassination for more than two years, especially at the very beginning of this whole case. It's very interesting to have the prosecution now consider the media and this whole situation turn on them, and all of the sudden it's a Nazi situation. " "It's hard today for Amanda when she's sitting there listening to outright false, really nasty things said about her, and you know, she had to sit there and just listen," said Mellas. "It was hard for her. But we told her to stay strong. She's doing what she needs to do to do that." Curt Knox said he expects Amanda to address the court before it goes to the jury. "She has been thinking about that for probably upwards of three months now and going over different things," Curt said. "It's something that is going to be very personal to her because she's literally on trial for her life as well. So, I mean, it's going to be very heartfelt and it's probably going to be very tough as parents to listen to as well." A lot of this new hearing hangs on DNA evidence. In the initial trial prosecutors said Knox's DNA was found on the handle of a knife believed to be the murder weapon, and Kercher's DNA was found on the blade. Independent experts have since declared that evidence unreliable. If acquitted, Amanda Knox could be freed immediately. If not, she could have her sentence confirmed, shortened, or lengthened.